3 PC. 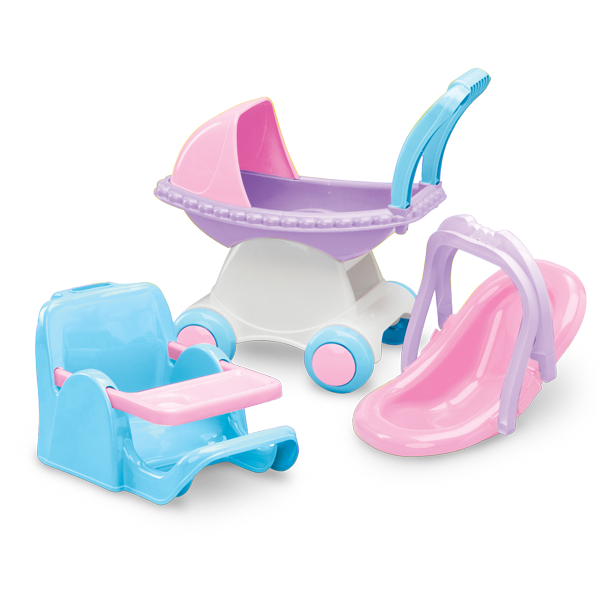 DOLL CARE SET | American Plastic Toys Inc. Kids will love caring for their large dolls with this three-piece set. It includes a buggy, a carrier that can be converted into a feeding chair, and a clip chair, which can be attached to the back of a chair or a table. Packaged together in a colorful, corrugated carton with a full color litho label.